For our long-standing cooking appliance client, Belling, we rolled out the start of our Family Favourites campaign with a research report into the most popular family dishes from the 60s, 70s, 80s, 90s and noughties. We worked with food historian, Monica Askey, to shed some light on our favourite dishes and explain how and why our tastes evolve over time. The campaign is ongoing but coverage of the research generated over 40 pieces of print, online and broadcast coverage and reached over 15 million people. What’s the current favourite family meal according to our research? No less than the humble spag bol! For more info and some handy recipes, click here. Over the Christmas holidays you may have spotted a familiar face on your TV screen. 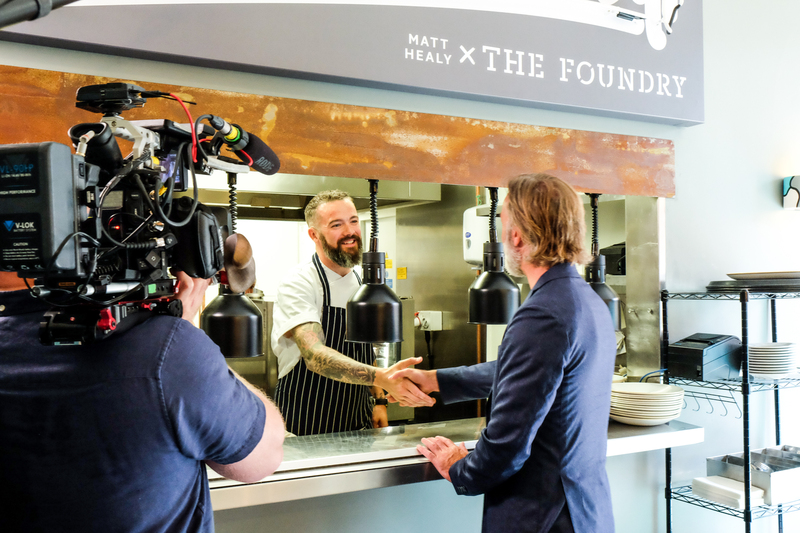 Top Leeds chef, Umpf client and MasterChef: The Professionals finalist Matt Healy made another national television appearance – this time welcoming the show’s expert judge Marcus Wareing to his restaurant in Leeds. Michelin-starred chef Marcus visited Leeds-born Matt at his restaurant Matt Healy x The Foundry in Holbeck to film part of a one-off special – MasterChef: The Professionals Rematch, which aired on BBC Two on December 27th. Matt was also invited back to the MasterChef kitchen once more and thoroughly impressed the judges, not to mention the viewers, as within an hour of the show’s broadcast, the restaurant had taken 140 bookings. In the following days, the website had over 100,000 hits. 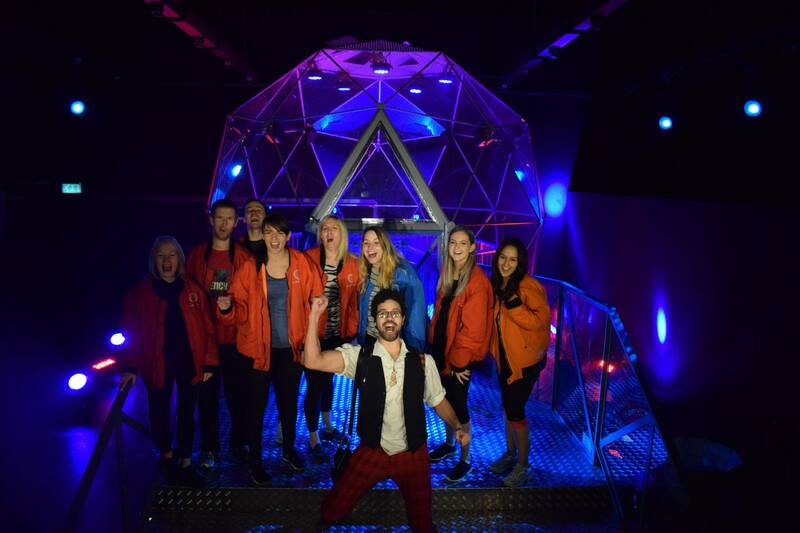 Off the back of the airing of the show we secured a further 14 pieces of coverage over print, online and broadcast. 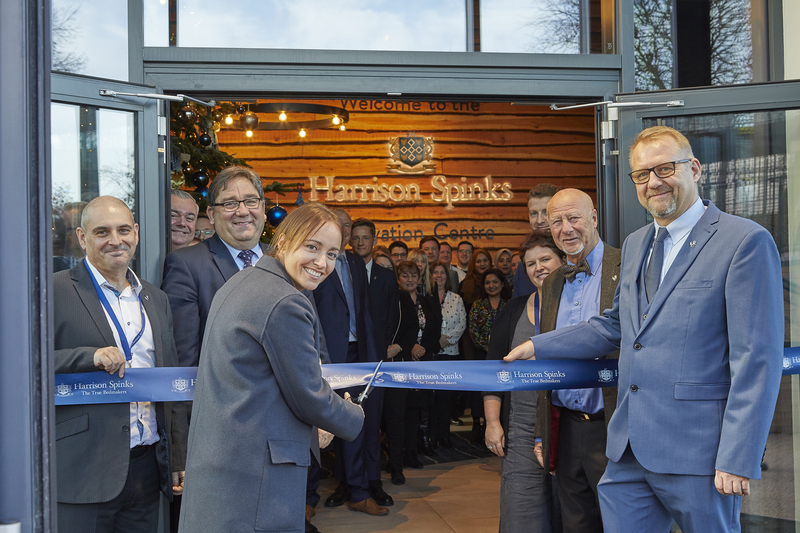 Paula Nickolds, Managing Director of John Lewis, was the guest of honour at the official opening of Harrison Spinks’ £2.5 million Innovation Centre at its headquarters and manufacturing site in Leeds. The Innovation Centre houses the company’s development engineering team, Sleep lab, management, sales, IT, purchasing, customer services, finance and marketing teams and also a state-of-the-art showroom for its Somnus range. As well as showcasing the new centre to visiting media, we also gave a sneak preview of the brand-new Harrison Spinks TV ad – it’s first in 178 years – which debuted on Boxing Day. So far the opening of the Innovation Centre has generated 14 pieces of standalone media coverage. 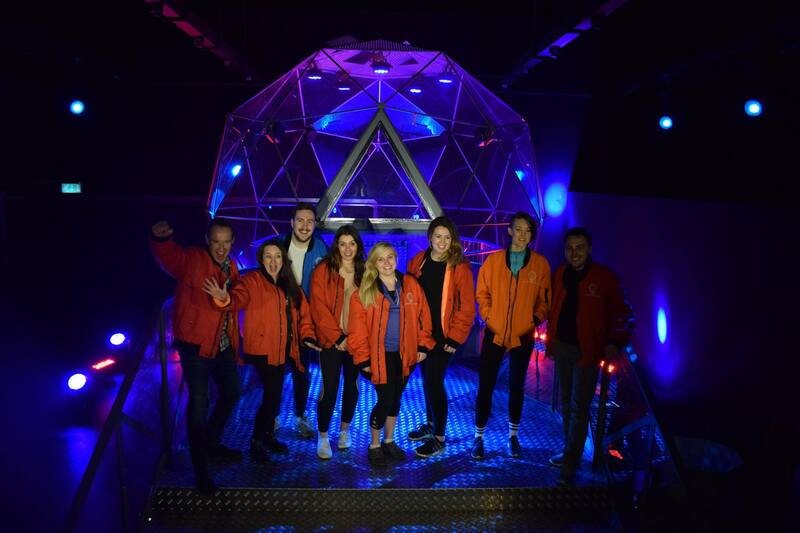 For the much-anticipated and closely guarded secret Umpf Christmas party we were whisked away to deepest, darkest Manchester to channel our inner Eddie O’Briens and take on the Crystal Maze. Alongside our B2B sister agency, The Right Agency, we managed to NOT shame ourselves with an impressive haul of crystals, followed by a slap-up dinner in Manchester’s trendy Castlefields area. 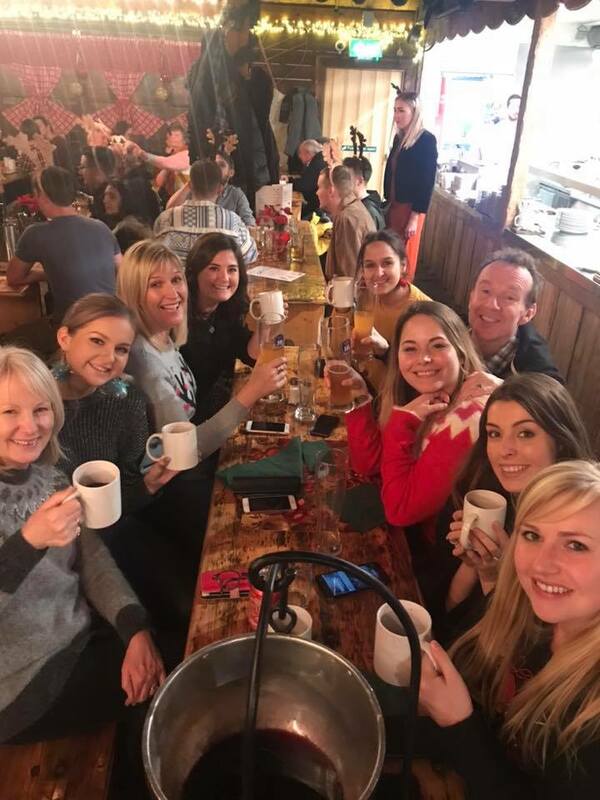 What festive season would be complete without a visit to the local German Christmas Market? An an annual tradition, we visited for our fill of sausage and beer before we broke up for the holidays.